Autism or Autism Spectrum Disorder (ASD) is a complex lifelong neurological disorder, which typically appears during the first three years of life. Autism is described as a “spectrum disorder” because it is different for each and every person on the spectrum. 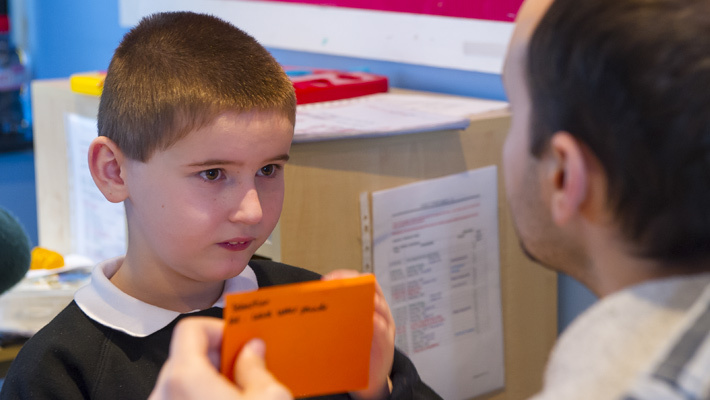 We believe that people with autism should have a life led by their own choice and control, through education, training for the professionals that work with them and support for their families. The information on this page is drawn together from other organisations1 and thought leaders in the field of autism. About 700,000 people in the UK2 are on the autism spectrum. Together with their families, this means that autism is part of daily life for about 2.8million people. Autism is a spectrum condition. This means that whilst all people with autism share certain difficulties, the extent of the difficulties will effect each person in different ways. All people on the autism spectrum learn and develop. Some people with autism may also have learning disabilities, mental health issues or other conditions; meaning people need different levels and types of support. Autism is not an illness or disease. Often people feel having autism is a fundamental part of their identity. This supports our perception of a shifting landscape to a place that embraces autism3 with companies such as Microsoft, SAP and others actively seeking the qualities found with autism. It is widely understood that the key underlying factor is the level of anxiety experienced by a person with autism as a result of the way in which they experience the world around them. This will have an impact on their communication skills, their sensory processing and their behaviour. Remembering that “if you’ve met one person with autism, you’ve met one person with autism”, each individual’s actions and development will be different. Autism is an often-misunderstood condition. If we are to empower each child and young adult with autism to lead the life of their choosing then we need to dispel the myths that exist around autism4.